Today, I noticed that ShopDiscover cashback rate of Sears.com lowered from 10% to 5%. I checked other retailers, and as long as I remember the following retailers’ has been reduced by 5%. They reduced, but actually the rates of these retailers got back to normal. The rates are the same as they were a month ago. (read previous post to see details) After all, it seems that it was ShopDiscover’s temporary and seasonal (maybe back-to-school?) bonus offer. Before, ShopDiscover shows bonus as pictured. And they might stop doing it for some reasons. 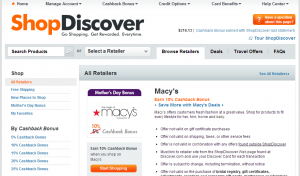 Despite the reduction, ShopDiscover is still one of the best cash back portals. 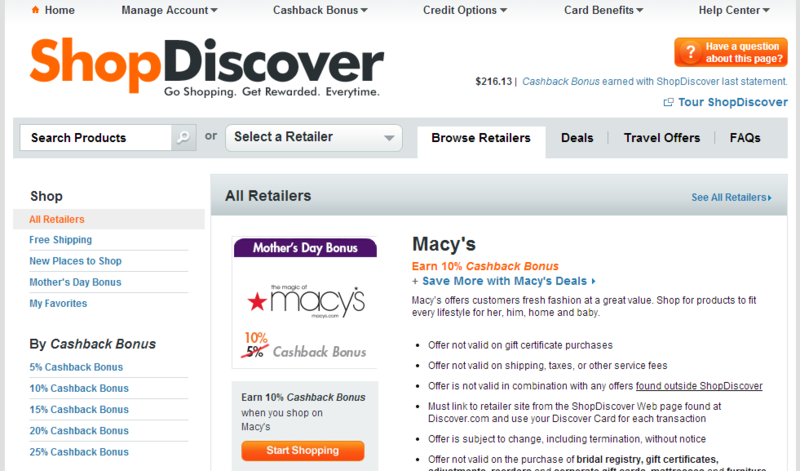 No other portal sites beat ShopDiscover’s cashback redemption options. (See details here) And I think there is another seasonal bonus offer just around the corner.